Perhaps no other word strikes fear into the heart of taxpayers everywhere more than “audit.” But, an audit can be a very good thing! It gives us time to examine the things that may slip by unnoticed day-to-day. It gives us the space to focus on a particular aspect of our business. In this case, we’re doing a brand audit. Never heard of it? Because very few entrepreneurs take the time to do it. 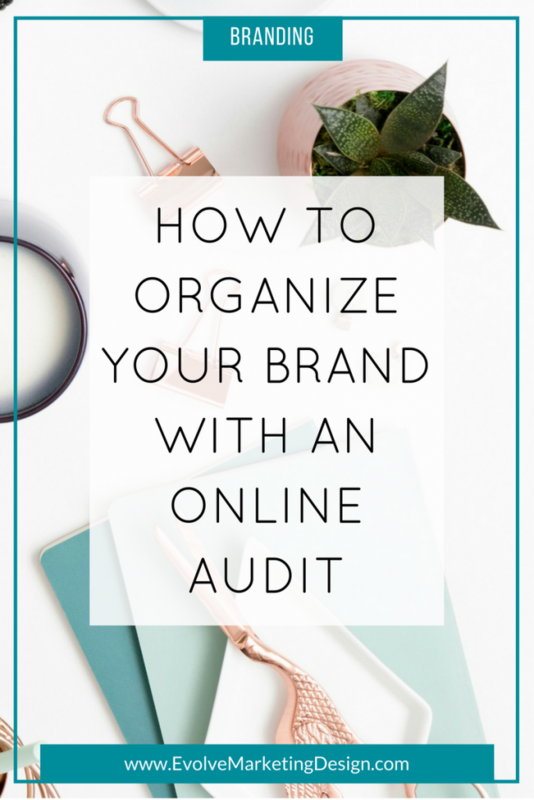 A brand audit is an important task—at least annually, if not semiannually—to ensure that we are presenting a clear, united brand and message to our ideal clients. “Confused minds don’t buy”—and we certainly don’t want to confuse our potential customers with a disjointed brand online! You can easily see where you are online, how each piece relates to the whole of your business, and where traffic to your website is coming from (or not). You can assess if each of those points is clear and cohesive in its branding and messaging. These three steps will help you organize your brand online for a more cohesive, streamlined and meaningful customer experience. To make sure you’ve got everything, go through your password keeper to make sure that all of your public-facing accounts are included. Don’t be surprised if your or your business have more of an online presence that you’d thought! It’s so easy to sign up for this or that, and then forget we have it. I’m always amazed at where I “find myself” online. For example, I signed up for a Masterclass which included a student chat area. When I left a comment, a really old photo of me showed up! I had an account with Disqus (that powered the chat area) that I had completely forgotten about. So heads up—check to see if you have a profile with Disqus, and also Gravatar (which powers WordPress comment feeds). 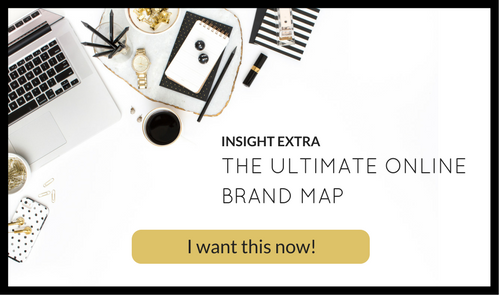 Click the graphic below to download your Ultimate Online Brand Map now. I’ve also included a tutorial video that shows you how to download, copy and overwrite the Google Drawing template to create your very own Online Brand Map. 3. Visit each touchpoint and assess whether it fits your brand, or if it needs some attention. Each of your touchpoints should reflect your brand. If you update your profile photo on your Facebook page but your website About page has a picture from five years ago, that’s not good. Does anything look out of whack? Does anything need to be updated or tweaked? Brand alignment is an ongoing process. (I go into more detail in this article.) Once you’ve completed your touchpoints review, make a list of what needs to be updated to be in sync. Prioritize making those updates by the most visible or most visited touchpoints. Take one evening and update all of your social media profile photos. Then another evening update your profile to include any new messaging or taglines. 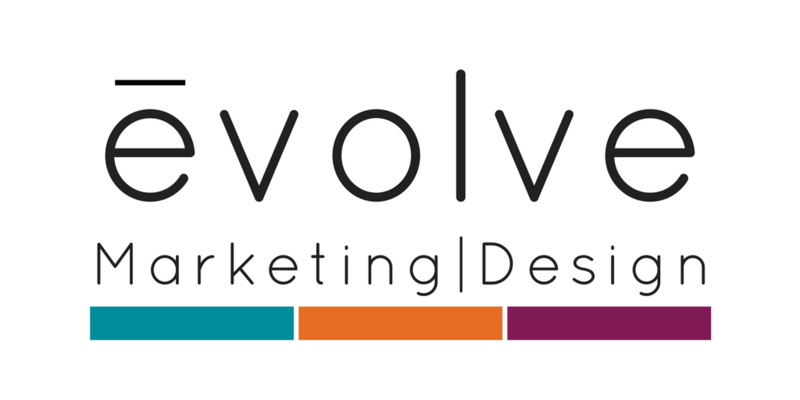 Keep at it until each of your touchpoints is updated and accurately reflects your brand. We go more into depth and I give you some additional tips and tools in my branding course, BRAND: YOU, which I’m opening up again next month. If you’d like to get on the interest list for BRAND: YOU, simply leave me your details here. Thanks! We'll send you the latest INSIGHTS about every other week. Cancel anytime. Hi! I’m Deanne Marie. 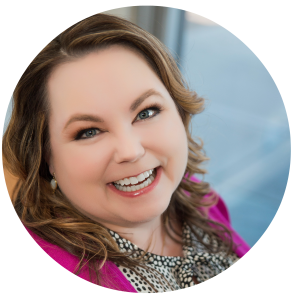 I provide creative direction and strategic advice for amazing entrepreneurs who want to build a brilliant brand, launch a bestselling book, and leverage their expert status. Stick around for practical tips to evolve your business and shine online. Everything you need to self-publish your book. If you're an aspiring author, you owe it to yourself, your book and your future readers to download the free Author Resource Guide. It's packed with valuable resources, from tools, courses and apps to referrals to real, live people. All with one goal in mind: to get your book out of your head and into the world! Hurrah! 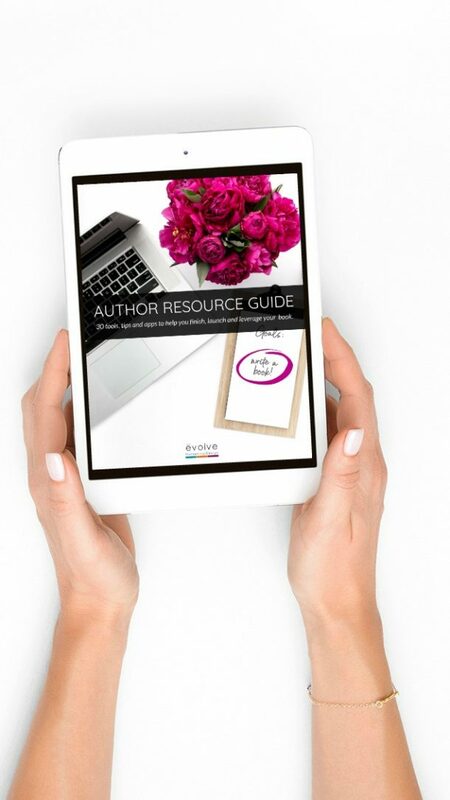 Please check your email to download your Author Resource Guide. Go from entrepreneur to expert with a bestselling book! 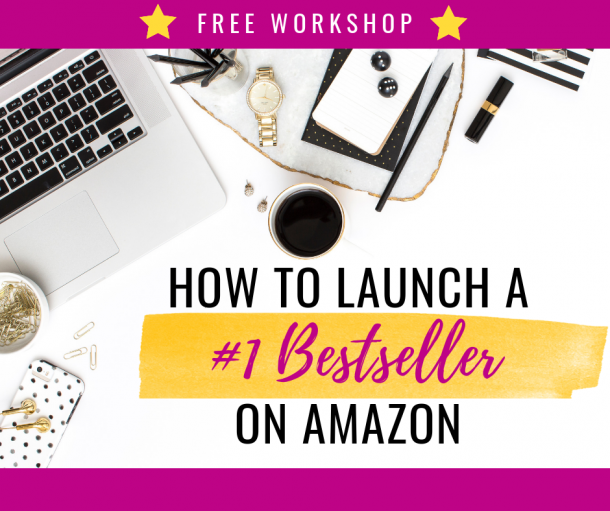 I'll show you how in this free online workshop LIVE on May 14, 2019. Replay available. Hurrah! You're in! Look for a confirmation email, and then you'll receive a couple of reminder emails on the day of the event. See you there! We hate spam, too, and won't flood your inbox.